Todd’s love of fantasy took flight in seventh grade when he discovered J.R.R. Tolkien’s The Hobbit. By eighth grade he had devoured “The Lord of the Rings” trilogy and was treading through Robert E. Howard’s Hyborean Age with Conan the Barbarian. His love for fantasy, science fiction, and horror hasn’t slowed down since. Todd is an ordained pastor with over 18 years experience. His first book, Carrying on the Mission of Jesus: Rediscovering the mission, identity and purpose of the Church, was published in 2014, and 2016 saw the release of his church leadership book Bullied! Confronting and Overcoming Six Major Obstacles to Church Effectiveness. 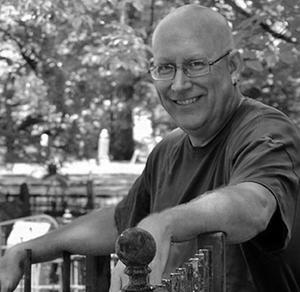 In addition, Todd has written for Chaosium’s Call of Cthulhu role-playing game, and has published short stories (in Return to Lovecraft Country and Made In Goatswood anthologies), and book reviews in “Video Watchdog.” He’s currently working on further adventures in The Deiparian Saga and contributing Blu ray reviews to “Screem” magazine. Todd and his wife, Felicia, have two grown sons, Brett and Matthew. They live outside Attagon (Chattanooga, TN) with their dogs, plenty of 80s metal, and the crawling chaos of an ever-expanding movie collection. Sign up now to receive information about J. Todd Kingrea, including news and special offers.